“The Conservatives could join the coalition only after our negotiations with the Social Democrats, becoming the third member of the coalition. 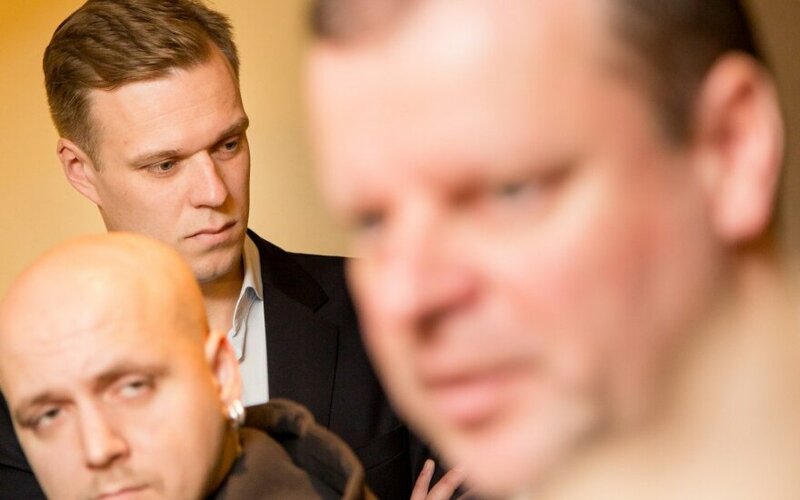 We will not cease negotiations with the Social Democrats for the Conservatives because that would be unseemly,” “Peasant” leader Ramūnas Karbauskis told the LRT.lt portal. As promised at the beginning of the week, the “Peasants” and the Social Democrats spent all of Wednesday consulting on the future coalition programme in education and science. One of the Social Democrat negotiators, Seimas Deputy Speaker Algirdas Sysas discussed the new social model, Labour Code, pension reform, potential new taxes and other related questions with the “Peasant” representatives. Cabinet Deputy Chancellor Rimantas Vaitkus discussed potential and necessary education and higher education reforms with one of the authors of the “Peasant” education reform programme Eugenijus Jovaiša. According to A. Sysas, there were more commonalities than differences when discussing social problems. “Both their and our party programmes speak of progressive taxation. Both they and we think that the base pension needs to be paid from the state budget. It only remains to keep discussing these questions and after reaching consensus, to enter it into the future government programme,” he said. Sysas also noted that they still need to discuss the possibility of implementing new taxes over a certain period, something already recommended by the International Monetary Fund several times. This organisation has proposed that Lithuania implement the fairly easy to administrate real estate and automobile taxes. This is expected to contribute to funding base pension payments out of the state budget. Will the state pay for higher education? R. Vaitkus and E. Jovaiša also discussed the question of university mergers. The politicians agreed that a number of universities do need to merge. The merger of the LEU (Lithuanian University of Educology) and Vytautas Magnus University is seen as an example of good practice. Still, decisions on how to deal with the regional universities in Klaipėda and Šiauliai will need to be made, these universities were established in order to attract students from specifically these regions. There was also talk of teacher’s wages and more suitable pedagogue training. Both the Social Democrats and the “Peasants” agreed that these problems will not get moving toward resolution if education financing is not adequately regulated, as it directly depends on the economic circumstances of the state. “We discussed the potential for teachers who have over thirty years of work experience to enter advance pension. If it were used, we would propose that teachers could no longer work in schools, but could look for further employment elsewhere,” spoke R. Vaitkus. 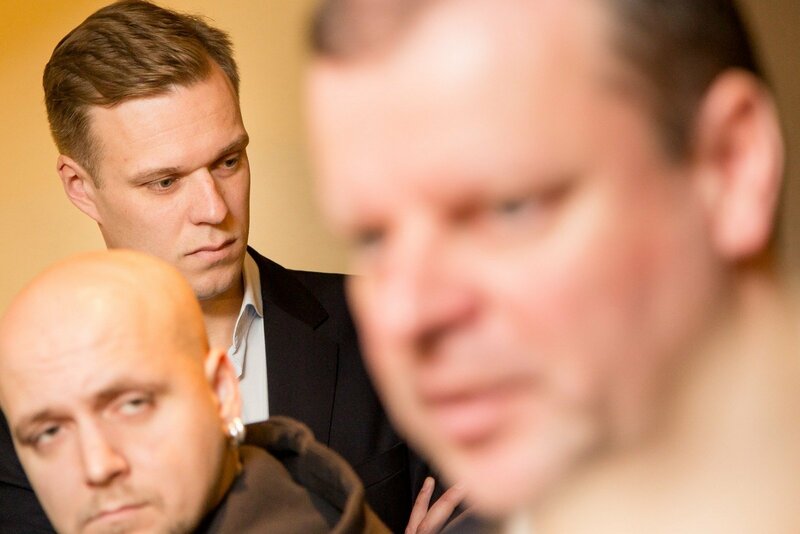 “Peasant” candidate for the seat of PM, former Minister of the Interior Saulius Skvernelis noted legislation on partnership, alcohol accessibility and non-Latin characters in documents as the main points of contention between them and the Social Democrats. “If we were to fail to reach compromise, we would remain at our own positions and would leave the questions to the will of the Seimas. However I hope that we can come to a sensible agreement,” mused Skvernelis. When asked whether he, as a former police officer, is not concerned that with restrictions on alcohol accessibility, contraband will not increase and whether so-called “points” won’t appear, S. Skvernelis assured that these sort of issues can be prevented only with an essential reform of the police. “The police cannot live with a hand stretched out or on their knees. The problem of adequate wages is directly related to alcohol contraband and illegal sales. This is why I will return to the reforms that I started as Minister of the Interior – optimising police activities, stability and effectiveness. We will have to put in an effort so that the police would regain a productive atmosphere, that there would no longer be constant psychological tension, which can be felt at the moment,” spoke S. Skvernelis. How are the chances of resuming coalition negotiations with the Conservatives viewed? S. Skvernelis stated that he currently sees no reason for the current negotiations with the Social Democrats to break down. “But the door into the coalition government remain open to the representatives of other parties. The Conservatives have said that they will wait until we finish negotiating with the Social Democrats,” he added. During their presidium meeting on Wednesday the Conservatives did not spare the “Peasants” of criticism for unsuitable attempts to start negotiations. Furthermore, according to some influential TS-LKD representatives, the Russian card came up again. An anonymous party presidium member was shocked with some of his colleagues’ warnings to party members that supposedly NATO allies have information about R. Karbauskis’ plan to take over Lithuania and that it may have been manufactured in Russia. The “green men” of Russia were remembered, who could disembark in Lithuania in civilian clothing. Former Lithuanian ambassador to the United States, Žygimantas Pavilionis, who belongs to the Christian Democrat wing of the TS-LKD told LRT.lt that he proposed that party veterans discuss whether the Conservatives should not join the “Peasants” in the coalition specifically in order to prevent any takeover attempts by Karbauskis, if he truly has such plans.